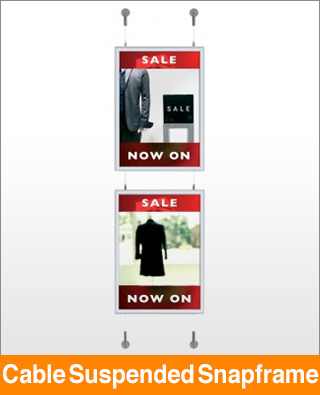 Double-sided front opening poster snapframe display for floor to ceiling/wall mounting. Includes anti-glare PET poster covers. Silver anodised finish as standard.